Today I have a recreation of one of my old designs (from July 2013!!) 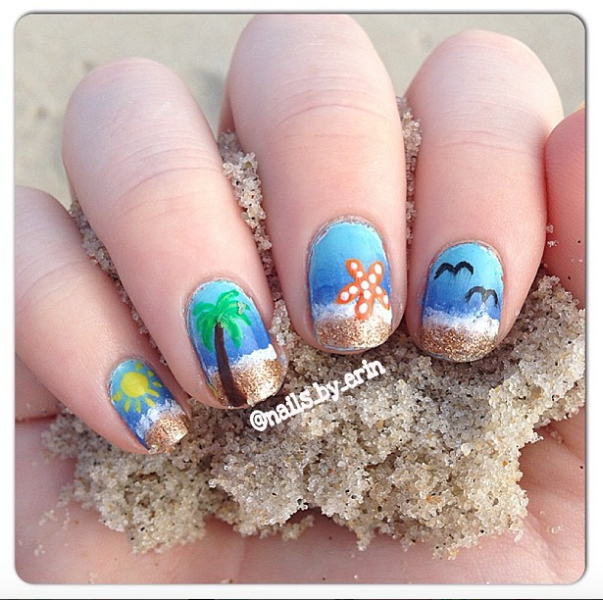 I did some beach nail art and since I was going down the shore this weekend, I decided to recreate this design. Plus, a recreation was kind of necessary. I always cringe when I look back at my old nail art, and this was no exception. But on the other hand, it's great to see how much I've improved over the years! Keep on reading to see more pictures and find out how I created this design! Yeah, it was definitely time for a makeover. But it was actually really fun to redo an old mani that I used to love. Maybe I'll do something like this more often! 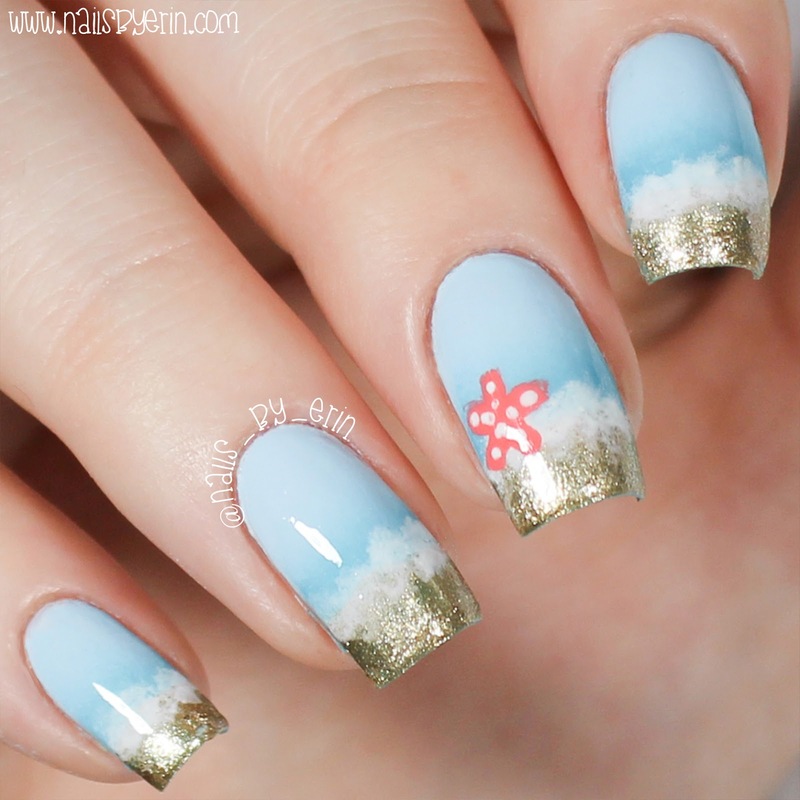 I wore these the whole weekend and really liked having that extra bit of beach festivity on my nails.